We can help you fight the "two-headed monster." Smoking and other tobacco use puts you at risk for a number of chronic conditions, including heart and lung disease. And yet, it's a hard habit to break. That's why so many people describe it as a "two-headed monster," or an "800-pound gorilla waiting to jump." We get it. And we know quitting takes a personalized approach. That's why we offer a variety of programs to the community, and through our corporate wellness partners to help you stop smoking and other forms of tobacco. With TIPS (Tobacco-free Individualized Plans), classes are available in Springfield, Branson, Monett and surrounding communities. Check our calendar for dates and times near you, or contact us today. Take advantage of the tobacco cessation resources CoxHealth has to offer. 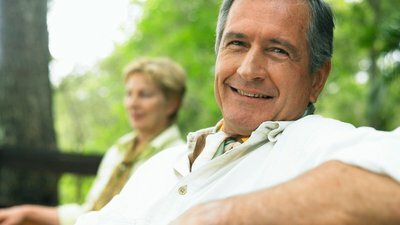 Take advantage of the tobacco cessation resources CoxHealth has to offer. And more! Ready to start your tobacco-free life? Search our calendar for upcoming classes in your area. It can be overwhelming to begin the process of quitting your tobacco addiction. We have some ideas to help you get started. Tobacco use is higher in Taney County than any other county in Missouri. Jim Brawner, Mayo Clinic certified tobacco treatment specialist, offers a 7-week tobacco cessation course. Class size is limited and registration is required; scholarships are available to assist with the course fee which includes class materials and nicotine replacement therapy. Call today. Cigarette smoke damages your lungs and airways. Air passages swell and, over time, you’ll have more and more trouble clearing mucus from your air passages. This can cause a cough that won't go away, which sometimes leads to a lung disease called chronic bronchitis. If you keep smoking, normal breathing may become harder as emphysema develops. In emphysema, your lung tissue is destroyed, making it very hard to get enough oxygen. Heart disease. If you have high blood pressure or high cholesterol (a fatty substance in the blood) and also smoke, you increase your chance of having a heart attack. Quitting will greatly lower your risk of heart disease. Cancer. Smoking can cause cancer of the lungs, mouth, larynx (voice box), esophagus, stomach, liver, pancreas, kidney, bladder, and cervix. Your chance of getting cancer increases with the more cigarettes you smoke each day and the more years you smoke. Respiratory problems. If you smoke, you are more likely than a non-smoker to get the flu (influenza), pneumonia or other infections that can interfere with your breathing. Osteoporosis. If you are an older woman who smokes, your chance of developing osteoporosis is greater. Women who are past menopause tend to lose bone strength and sometimes develop this bone-weakening disorder. Bones weakened by osteoporosis break more easily. Also, women smokers tend to begin menopause sooner than the average woman, putting them at risk for osteoporosis at an earlier age. Whether you’re young or old, it's not too late to quit. 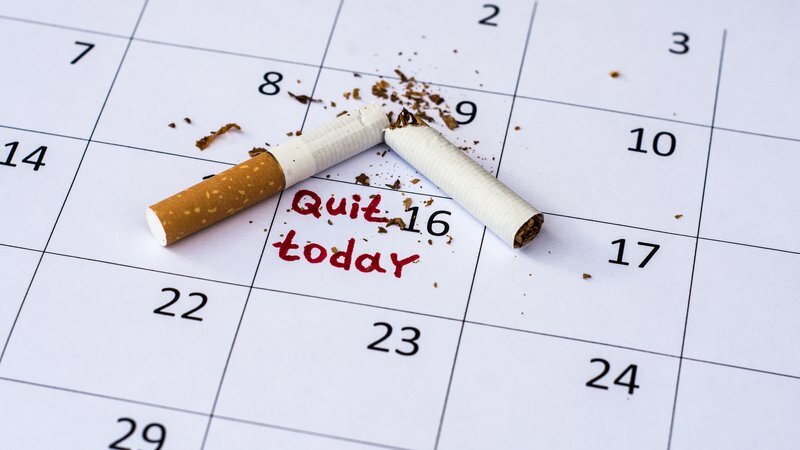 If you quit you’ll reduce your chance of cancer, heart attack and lung disease; improve your circulation; gain an improved sense of smell and taste; and set a healthy example for your children and grandchildren. Your blood pressure and pulse decrease, and the temperature of your hands and feet increases. The carbon monoxide level in your blood returns to normal and oxygen levels in your blood increase. Your nerve endings adjust to the absence of nicotine and your ability to taste and smell begin to return. Your circulation and exercise tolerance improves. Coughing, sinus congestion, fatigue and shortness of breath decrease and your overall energy level increases. Your risk of heart disease decreases to half that of a current smoker. Your risk of stroke is reduced to that of people who have never smoked. Your risk of heart disease is reduced to that of people who have never smoked.